She said GCC, Iraq, and Iran, among other Middle East nations, are potential growth market for Georgia having a long and rich history for tourists to explore and enjoy. She said Georgia has four million population, and it receives around 4.2 million tourists annually. Hosseinpour said Georgia is a safer democratic nation in CIS and it offers visa free entry to GCC nationals while residency-holders can get visa on arrival. In reply to a question, she said the airline is going to receive four new aircraft soon that will help in route expansion and targeting more markets across the world. Currenlt, the airline has four aircraft and it added Brussels in its network on May 5. The airline’s director of media relations said FlyGeorgia is changing the perception in the full service aviation market with its luxury at a low-cost value proposition. She said the airline has launched two new services during the ATM this year. 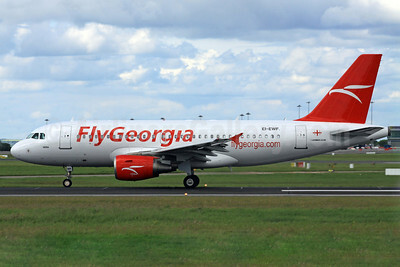 “FlyGeorgia Holidays and the FlyGeorgia Travel Card are exclusive services for passengers who utilise the airline. FlyGeorgia Holidays is their branded travel agency that will create customised holiday packages for travellers while the FlyGeorgia Travel Card is a prepaid MasterCard available to all FlyGeorgia passengers, providing them with a safe and easy alternative to carrying cash in a foreign country. “Our main goal in participating in this year’s ATM is to introduce the country of Georgia to the Arabian market and to educate travellers on all of the wonderful destinations within the country,” Hosseinpour concluded.